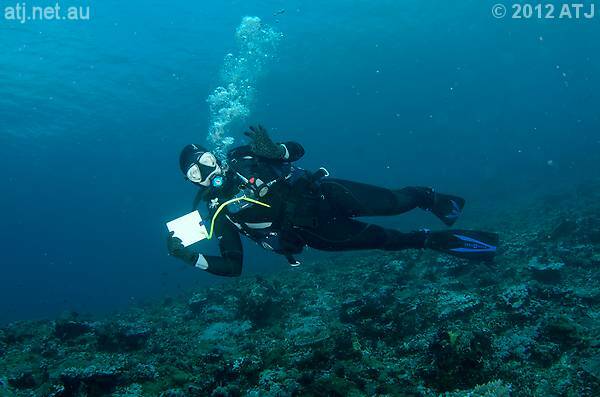 This is an account of the trip I did around Komodo Island, Indonesia with friends from St George Underwater Centre Dive Club in August 2012. The trip was on board the Pa Siren, one of the boats in the Siren Fleet from Worldwide Dive and Sail. 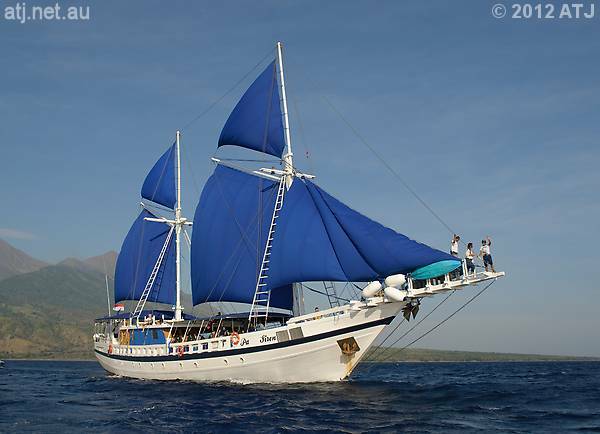 The boat was built for sailing in Palau but because its initial voyages were in Indonesia it was initially called "Pa Siren" as "Palau Siren" was considered poor form for a boat in Indonesian waters. "lau" was added to the signage on the boat when it went to Palau. The boat itself, as with all the Siren fleet, it quite luxurious. The cabins were very comfortable as were salon and dining area on the dive deck. The dive deck was spacious with set areas for each guest. The boat was also equipped with nitrox which increased no decompression dive times, especially on some of the deeper dives. 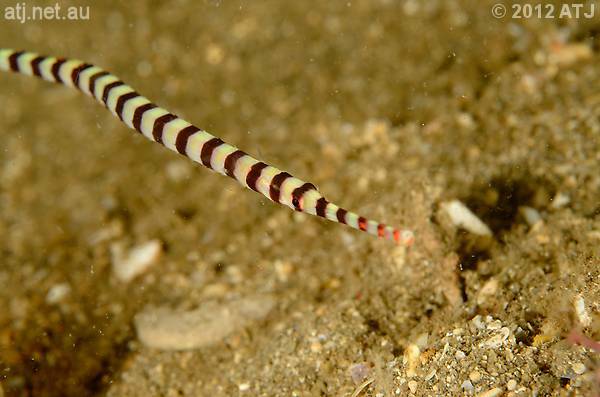 Banded pipefish, Dunckerocampus dactyliophorus, at Unusual Suspects. After the dive we had drinks and dinner and shortly after dinner the boat sailed for Sangeang Island. 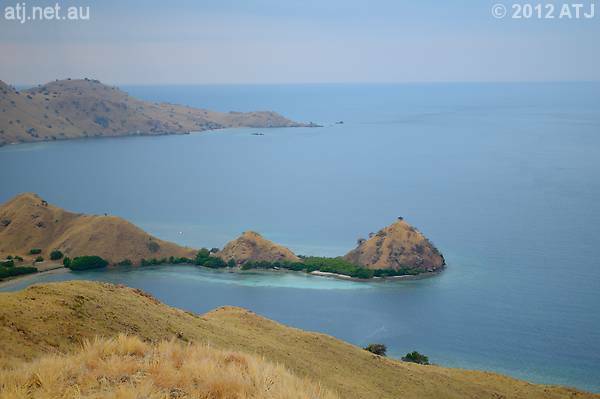 Sangeang Island is located in the Flores Sea north-east of Sumbawa. It is an active volcano complex with two peaks. It last erupted in 1988 and the sands around the island are black which made for an interesting background to the dives. 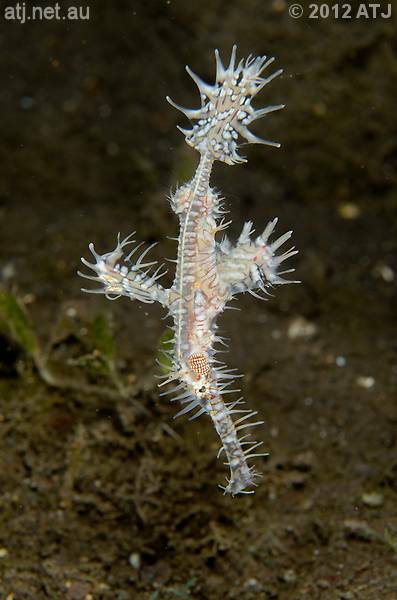 Ornate ghost pipefish, Solenostomus paradoxus, at Techno Reef. 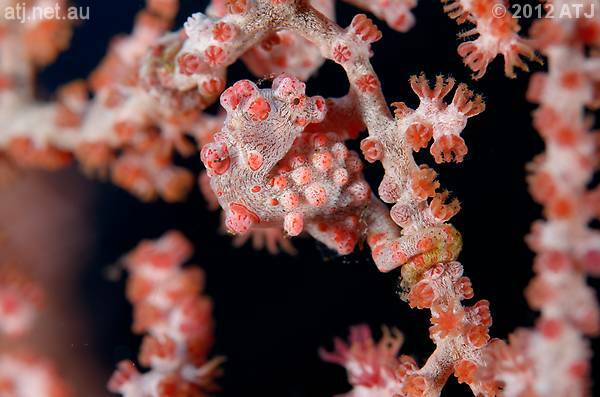 Pygmy seahorse, Hippocampus bargibanti, at The Estuary. 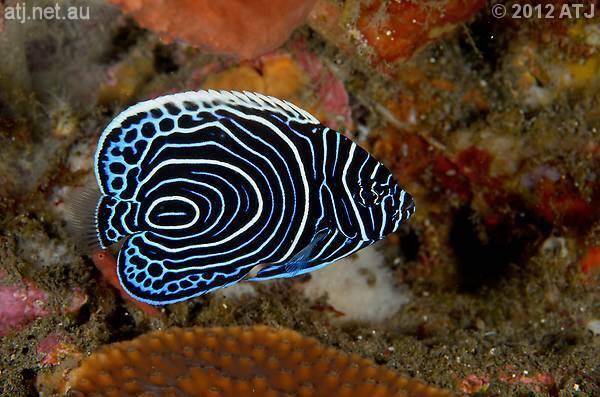 Juvenile emperor angelfish, Pomacanthus imperator, at Hot Rocks. 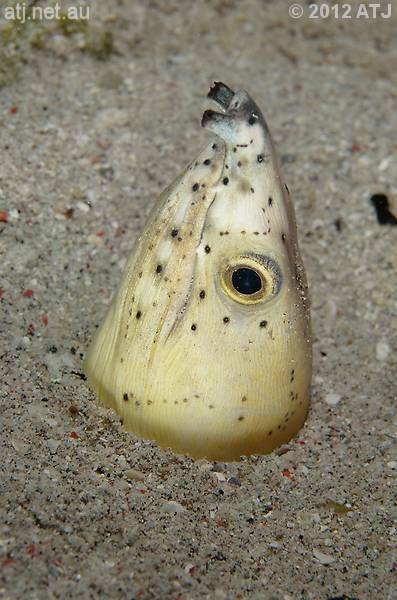 Black-finned snake eel, Ophichthus melanochir, at Circus. After dinner we sailed for 90 minutes to the north-west corner of Komodo Island. 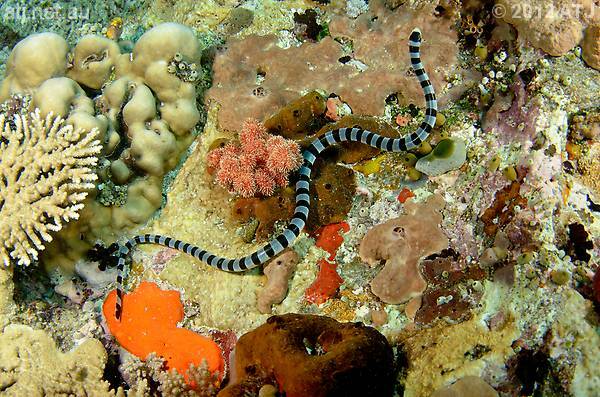 Sea snake at Crystal Rock. 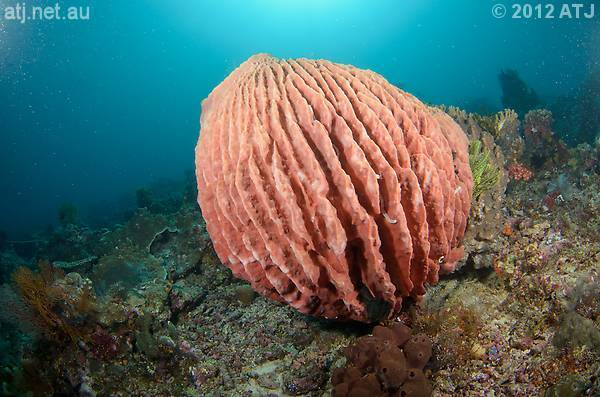 Giant barrel sponge, Xestospongia testudinaria, at Castle Rock. 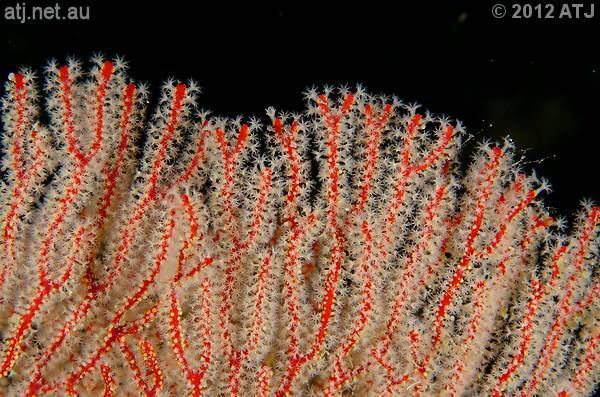 Sea fan at Shotgun Reef. 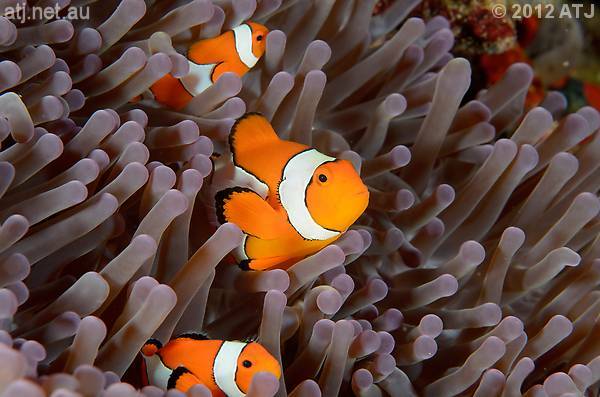 False clown anemonefish, Amphiprion ocellaris, at Shotgun. Following breakfast we sailed to an area to the east from Komodo Island known as Current City. 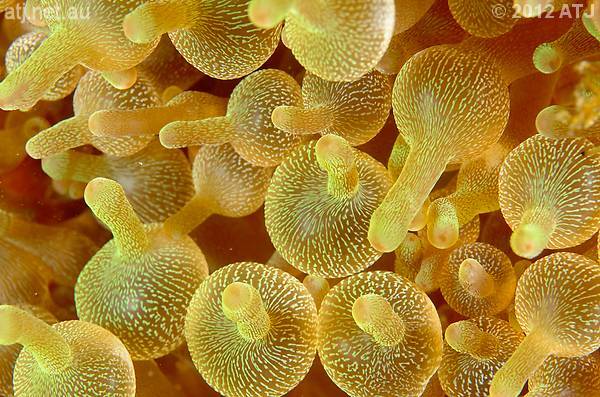 As the name suggests there are a lot of currents and most can be seen on the surface from the boat. Julie at Tatawa Kecil on her 100th dive. 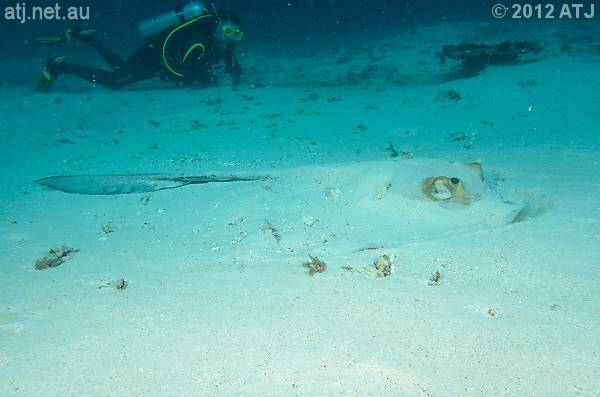 Cowtail ray, Pastinachus sephen, at Makassar Reef. Peter is in the background for scale. 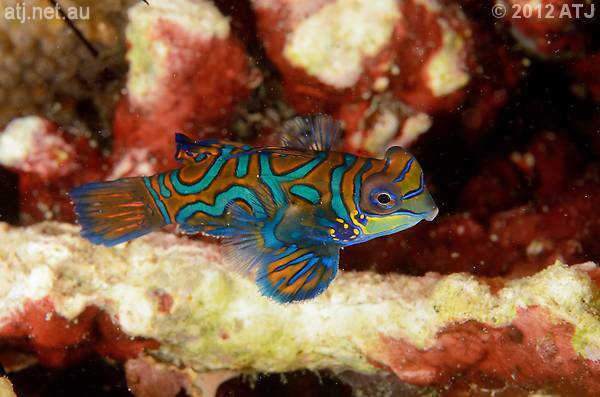 Mandarinfish, Synchiropus splendidus, at Dragon Besar. 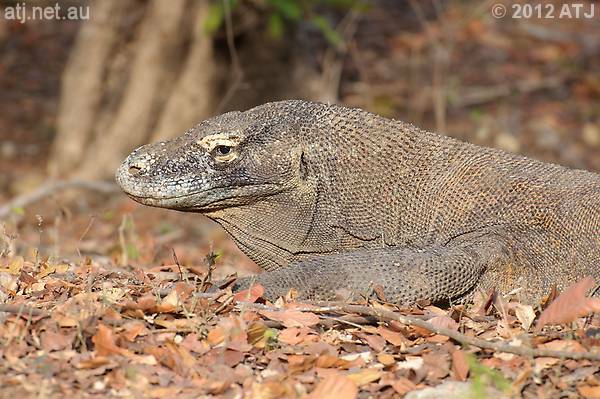 The next morning we took a break from diving and went on a walk in Loh Buaya Dragon Park on Rinca Island to see komodo dragons up close. The dragons themselves are wild but were mostly lying around in the Sun. We had guides with us who had big sticks to hold back unruly dragons but they hardly even opened their eyes. It was great to see these legendary animals up close and in their natural habitat. Komodo dragon, Varanus komodoensis at Loh Buaya. 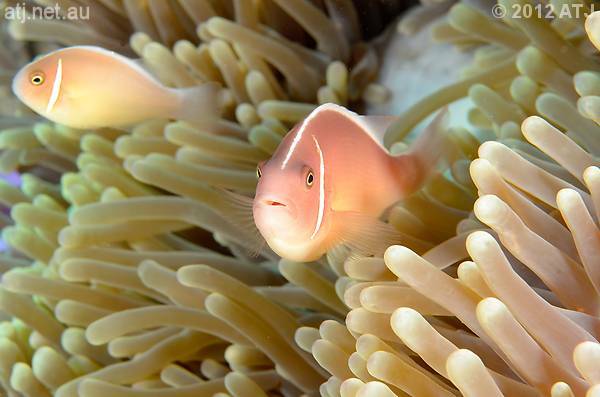 Bubble-tip anemone, Entacmaea quadricolor, at Tiga Dara. 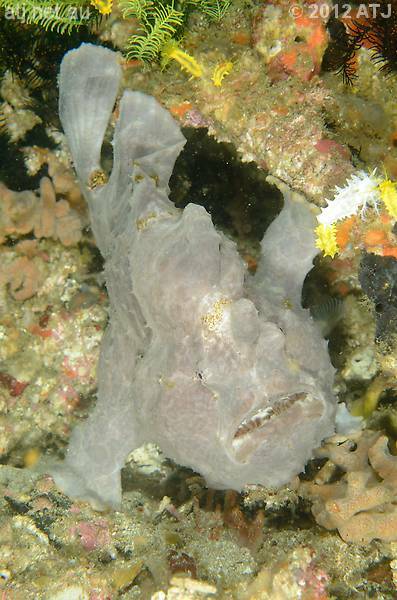 Giant anglerfish, Antennarius commersonii, at Cannibal Rock. 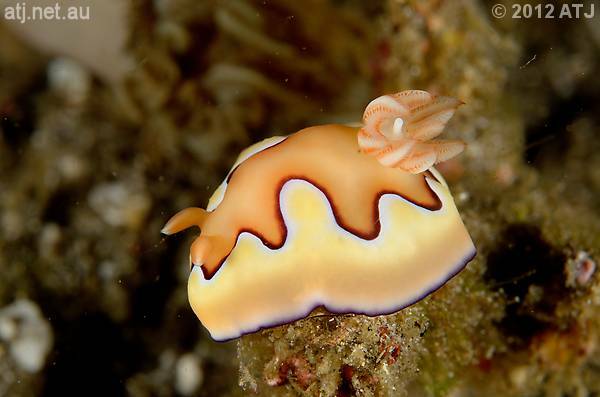 Nudibranch, Chromodoris coi, at Torpedo Alley. 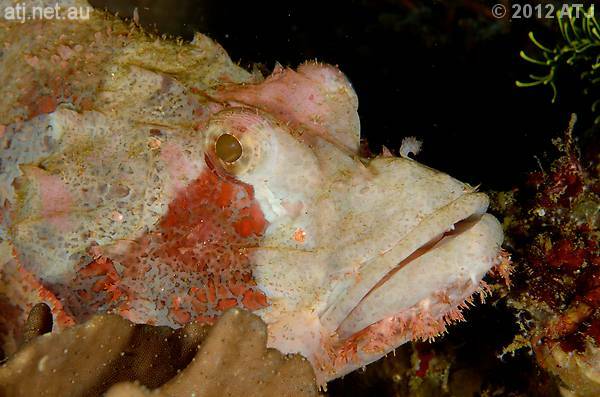 Bearded scorpionfish, Scorpaenopsis barbata, at Cannibal Rock. 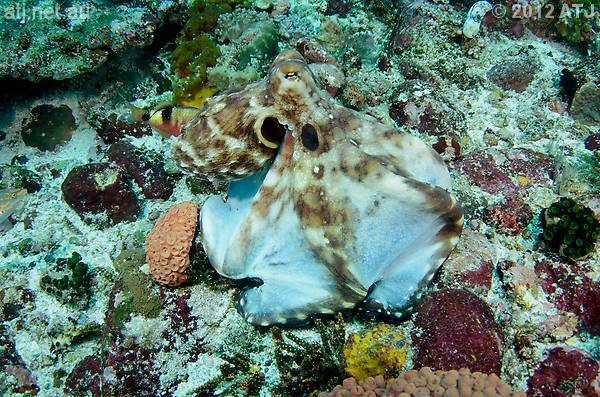 Day octopus, Octopus cyanea, at Manta Alley. 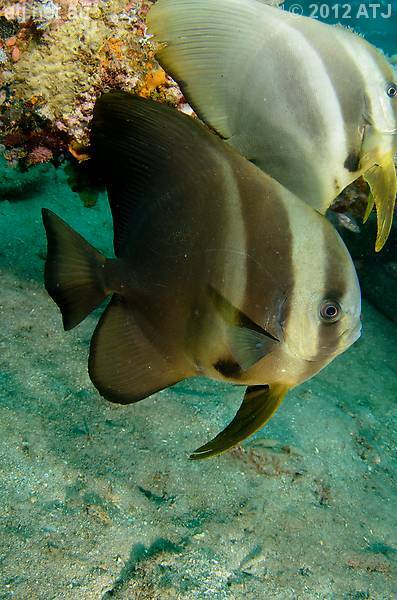 Long-finned batfish, Platax teira, at Phinisi. 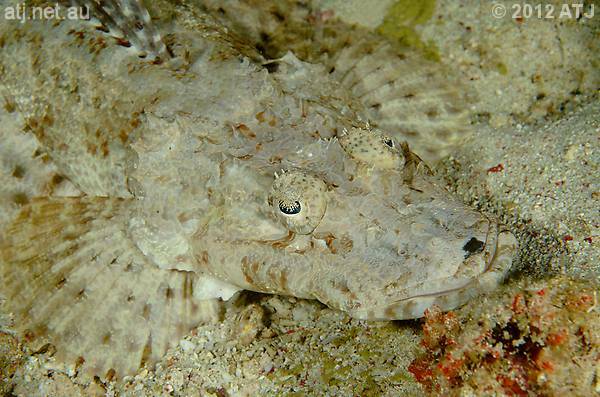 Crocodilefish, Cymbacephalus beauforti, at Pink Beach. 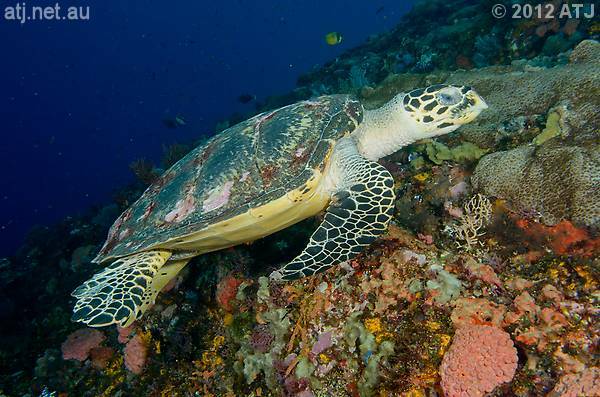 Hawksbill turtle, Erectmochelys imbricata, at Batu Balong. 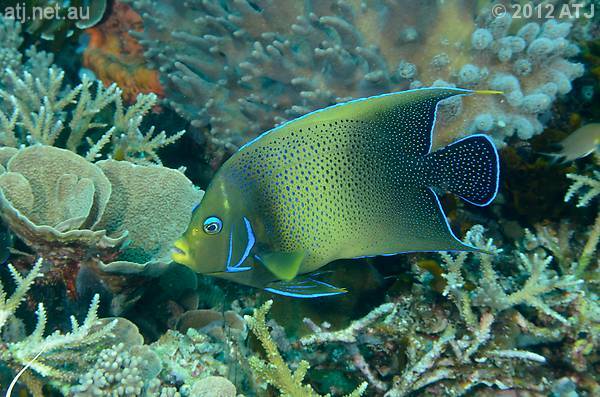 Half-circle angelfish, Pomacanthus semicirculatus, at Tatawa Bessar. 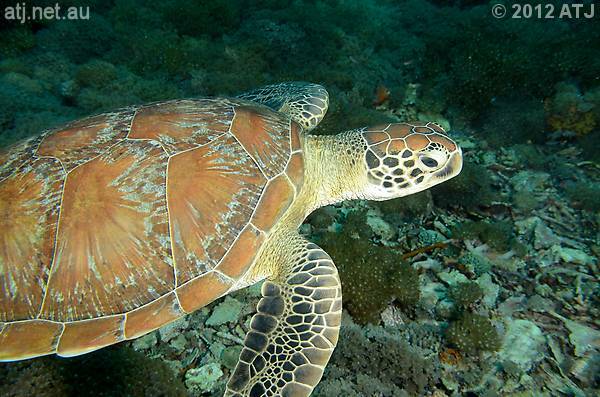 Green turtle, Chelonia mydas, at Makassar Reef. There was no sunset or night dive on day 7 and instead we sailed to a bay on north-eastern edge of Komodo Island close to Gili Lawa Darat. The dinghies took us to Gili Lawa Darat for a sunset walk, climbing a small mountain which overlooked the channel between Gili Lawa Laut and Gili Lawa Darat - the site we knew as Shotgun. It was a pleasant walk, although the climb up the mountain was very steep. Gili Lawa Laut as seen from Gili Lawa Darut. 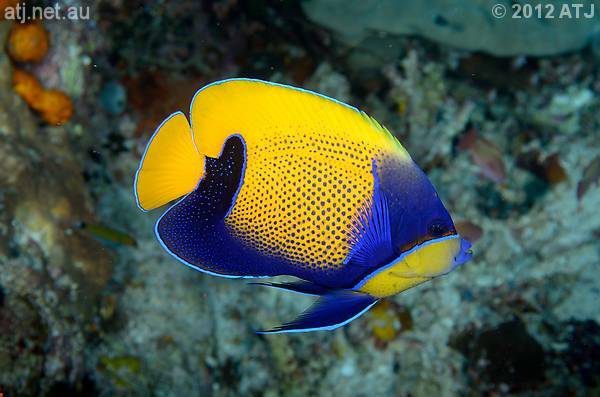 Majestic angelfish, Pomacanthus navarcus, at Crystal Rock. 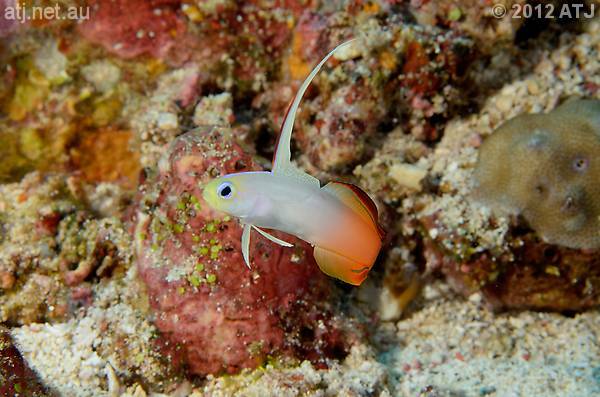 Red firefish, Nemateleotris magnifica, at Shotgun. 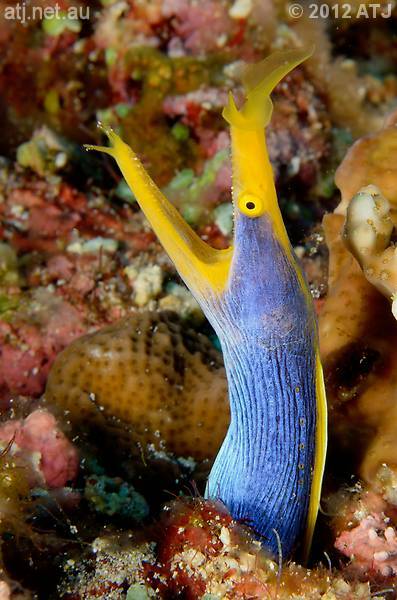 Ribbon eel, Rhinomuraena quaesita, at Castle Rock. 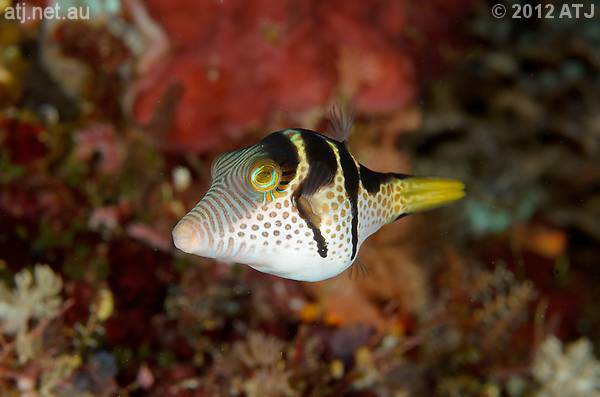 Saddled pufferfish, Canthigaster valentini, at Coral Garden. Early in the morning we sailed to Gili Banta for our second last day of diving. 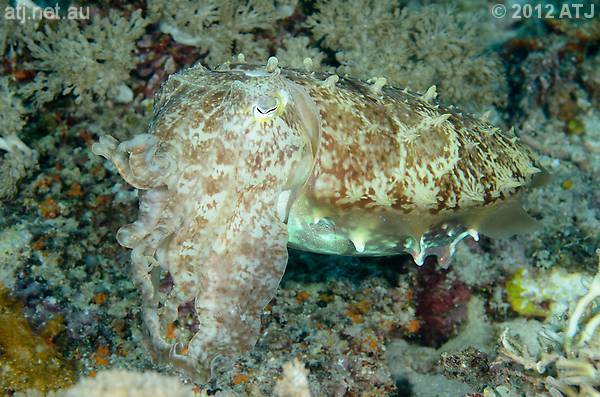 Broadclub cuttlefish, Sepia latimanus, at K2. Manta Ray, Manta alfredi, at K2. 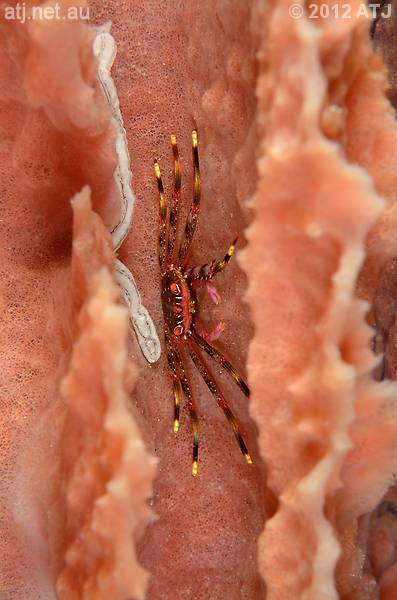 Flat rock crab, Percnon planissimum, at Swiss Dream. 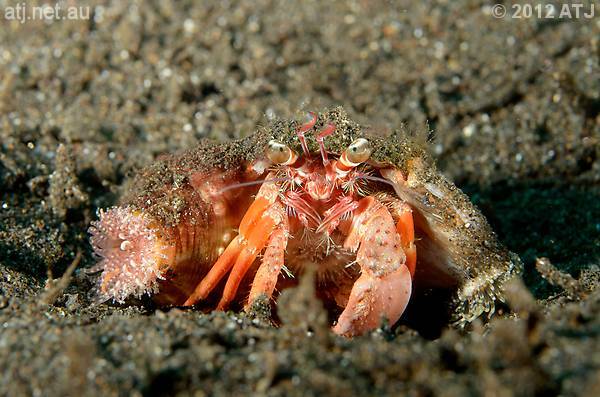 Hermit crab, Dardanus pedunculatus, at Bonto Reef. After the third dive the crew hoisted the sails so we could have an opportunity to take some photographs of the Pa Siren in full sail. Even though the sails are more for show than functional, the boat still looked great as it was sailing off Sangeang Island. Once the sails were brought down we motored back into Bima Bay for a barbecue on our second last night on the boat. Pa Siren off Sangeang Island. 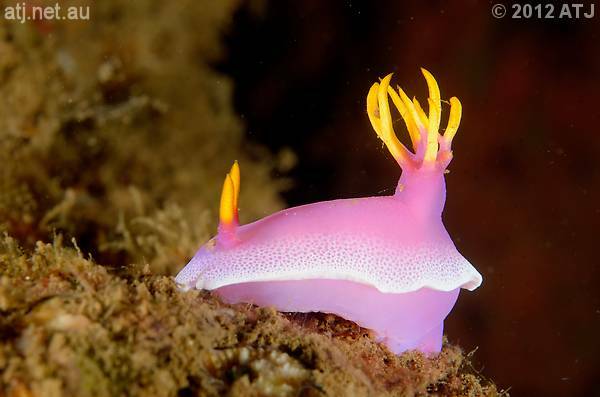 Nudibranch, Hypselodoris apolegma, at Nudibranch Reef. 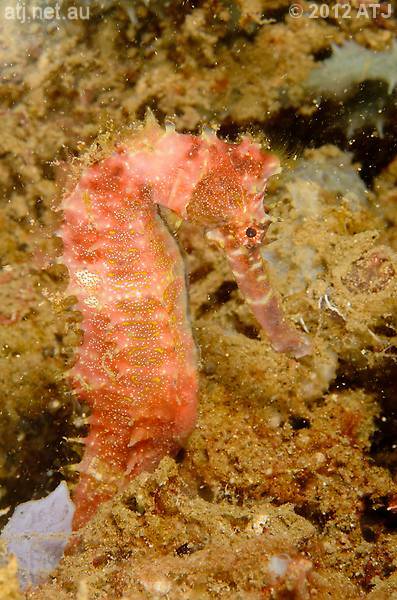 Thorny seahorse, Hippocampus histrix, at Unusual Suspects. It was then time to wash our gear and start packing up ready to leave the boat the next morning. That evening we sailed the last 30 minutes to Bima where we stayed the night to off-gas before our flights the next day. It was a fantastic trip with no complaints. The boat was great. The crew were wonderful. The diving was sensational. I can highly recommend a trip on a Siren fleet boat.